Sukkah and Sukkot at Baldwin Outdoor Comfort - The Sukkah Specialists. 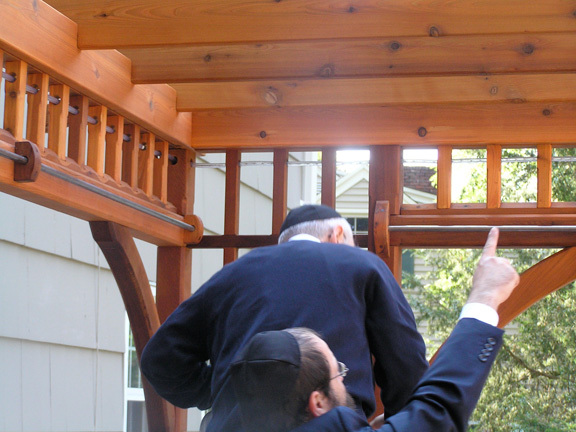 We are a pergola company offering custom pergolas which can be further customized into Sukkot. While we have done many such custom structures, we leave the finishing touches to the family of the client. Definition:A sukkah is a temporary dwelling built during the Jewish holiday of Sukkot. ("Sukkot" is the plural form of the Hebrew word "sukkah.") The sukkah hearkens back to times in ancient Israel when Jews would build huts near the edges of their fields during the harvest season. These dwellings not only provided shade but allowed the workers to maximize the amount of time they spent in the fields, harvesting their food more quickly as a result. The sukkah is also said to represent the temporary shelters in which the Jewish people lived while wandering in the desert for 40 years (Leviticus 23:42-43).A sukkah usually has at least two and a half sides, which can be constructed of any material so long as the sides are secure and don't flap in the wind. The roof must be made of natural, unprocessed materials that have grown in the ground - such as tree branches, bamboo poles or even wood that's been shaped into planks. In addition, the roof should be left open so that people inside the sukkah can see the sky. The sukkah is often decorated with autumn fruit and vegetables, which are tied to strings and then hung around the sukkah.During Sukkot it is traditional to eat at least one meal in the sukkah. Many people will try to eat in the sukkah more often though, especially if they have children who can revel in the novelty of eating outdoors.Although some people build a sukkah in their yards, in modern times it is more common for synagogues to build a sukkah for the community to enjoy. This was a special project done in late summer of 2012. We built a pergola above a 32' x 32' wooden deck. We were instructed to build the pergola without a center post and to use the gazebo as a corner post. It was a tall order, but one which we were able to fulfill. In this photo you see the top of the gazebo. We used a 6" wide by 18" tall by 40' foot long glue-lam beam to span the 32' distance from post to post. We've never seen this done in a pergola structure. This is what makes this a Super Sukkah! We attached hooks and rods for drapery and passed the final rabbi inspection just hours before the Sabboth. This was a special project we did in Pennsylvania. We supplied stainless steel drapery rods and special drapery with rivited-in stainless steel snaps. Along with tiebacks, we were able to completely enclose the sukkah just in time for the holiday. Please contact us early on and secure your position is the line of production so nothing gets rushed. In the photo you see two Rabbi assisting in the final assembly. This is protocall. Examples: During the holiday of Sukkot it is customary to eat in the sukkah at least once. 1. When should one begin building the Sukkah? According to most opinions, one should begin on at the departure of Yom Kippur in order to go immediately from one mitzvah to another. If this is not possible, one should begin the following morning. If this will not leave him sufficient time to complete the Sukkah, one may begin to build before Yom Kippur, but he should not place the s'chach until after Yom Kippur. According to some opinions, one should begin to build the Sukkah before Yom Kippur, as an added merit. 2. When should one finish the construction? Ideally, the Sukkah should be completed on the day after Yom Kippur. However, if by doing so, the Sukkah will not be built properly and sturdily, he should devote more time to erect a better and more beautiful Sukkah. 3. May one build the Sukkah on erev Shabbat or erev Yom Tov? Yes, but one must stop building at halachic midday. According to some opinions, one may continue to build until mincha ketanah (two-and-a-half halachic hours before sunset). 4. May one build a Sukkah on chol hamoed? If a person did not build a Sukkah before Yom Tov, or if he built one but it fell down, he may build one on chol hamoed. If necessary, even skilled work (which is usually forbidden on chol hamoed) is permitted in order to fulfill the mitzvah, but if possible this type of work should be avoided and the Sukkah should be a simple construction. 5. Is anyone allowed to build a Sukkah? Any person may build a Sukkah, including women and children. However, it is a mitzvah for every man to participate personally in the building, and whoever toils and sweats with this task receives atonement for serious sins. It is preferable not to ask a gentile to build a Sukkah. 6. May one build a Sukkah anywhere? 7. What if one part of the Sukkah is under the sky and one part is not? If the section under the sky has sufficient walls and the minimum dimensions, the Sukkah is kosher. Nevertheless, one may only eat in the part of the Sukkah that is under the sky. Sometimes, the invalid section may be included in calculating the size of the Sukkah and a rabbi should be consulted. 8. May the Sukkah be built near a tree if the branches sway over the s'chach in the wind? Ideally, one should chop off these branches. If one did not do so, the Sukkah is still kosher even when the branches are swaying over the s'chach. 9. May one build a Sukkah underneath washing lines? Yes. Since the lines are very narrow and there is space between them, they do not invalidate the Sukkah. This is true even when laundry is hanging from the lines. However, if the laundry becomes entangled in the lines, the area of the s'chach beneath is invalidated. In some situations, this may invalidate the entire Sukkah. 10. May one build a Sukkah in a public area? In Israel, this is allowed since permission is automatically granted to use the street for this purpose. In the diaspora, one should ideally avoid doing this unless specific permission is obtained from the authorities. However, the custom is to be lenient in this matter if no other area is available, especially if the Sukkah is built close to the house. 11. May one build a Sukkah on soil or grass? On soil is permitted, but it is forbidden to sweep the floor on Shabbat and Yom Tov. It is therefore advisable to cover the floor with some suitable flooring. On grass is not advisable since it is difficult to avoid spilling liquids on the grass on Shabbat and Yom Tov. The grass should be covered with suitable flooring. 12. Does a Sukkah require a mezuzah? Since a Sukkah is only a temporary dwelling, it does not require a mezuzah. 13. What is the minimum size of a Sukkah? The inside of the Sukkah must measure at least seven tefachim long by seven tefachim wide. This is the smallest area in which a person could reasonably be expected to sit. (Even if the Sukkah is very long, it must still measure at least seven tefachim wide.) In practice, this means that the Sukkah should preferably measure 70cm x 70cm. It is still kosher if it measures only 56cm x 56cm. The internal height should measure at least 1m, but it is still kosher if it measures only 80cm. 14. What is the maximum size of a Sukkah? There is no limit to the size of a Sukkah. In terms of height, however, the s'chach must not be higher than 20 amot from the floor of the Sukkah (approx. 10 meters). This is rarely applicable. 15. How many walls should a Sukkah have? 16. From which materials should the walls be made? The walls may be made from any sturdy material. The walls must be strong enough to remain in position when the wind blows. Therefore, sheets that flap may not be used. Ideally, one should not even use sheets that are firmly tied down on all sides, in case they become detached and this goes unnoticed. If three walls are made from sturdy materials, one may use sheets for the fourth wall. 17. May one use sheets in extenuating circumstances? If no alternatives are available, one may use sheets that are tied down on all sides. In this situation, it is preferable to tie several horizontal strings around the Sukkah. These strings should be tied at intervals of less than 24cm, to a height of at least 80cm (preferably to a height of 1m). This method invokes a halachic principle that considers the strings to be united to form a solid wall. With such strings, the Sukkah is kosher according to all opinions. 18. How high must the walls be? The walls must be at least 80cm high (preferably 1m) but do not need to reach the s'chach. It is perfectly acceptable to support the s'chach on wooden posts etc, if the walls are the minimum height. The remaining spaces may be left open or filled with sheets or any other material. In this situation, the s'chach should preferably reach the line directly above the wall. The walls do not need to touch the ground, but they must not be raised more than 24cm above it. 19. Which materials may be used for s'chach? According to one opinion, the best s'chach is cut branches of trees. This is hinted by the numerical value of the word Sukkah (91) which is identical to that of the word tree ('ilan'). 20. Are all branches suitable? branches that are liable to contain flies or bugs that may fall into the Sukkah. 21. May one cut branches from trees in the street or countryside? It is forbidden to fulfill a mitzvah through stealing. Therefore, permission must be obtained before cutting any such trees, unless one is certain that they are ownerless. 22. May one use planks of wood for s'chach? It is forbidden to use wide planks for s'chach, since the Sukkah would then appear like a house. Therefore, one may not use planks that are wider than 8cm, and preferably not wider than 5cm. Narrow planks may be used, although they are disqualified by some opinions. 23. May one use matting, wickerwork etc.? When pieces of s'chach are interwoven or connected to each other, they may be disqualified since they now may be capable of becoming tamei. Since these laws are complex, one should not use such matting or wickerwork unless it has a reliable rabbinic supervision. 24. How much s'chach must be used? 25. May one sit under a sparsely covered area? Yes, unless the area measures seven by seven tefachim. It is advisable to spread the s'chach evenly, so that every part of the Sukkah is covered sufficiently. 26. May one cover the Sukkah with very dense s'chach? Ideally, there should be sufficient spaces in the s'chach that one will be able to see some stars at night. If not, there should be a few spaces that will allow in a little sunlight during the day. Even if there are no spaces at all the Sukkah is still kosher. One may be lenient to do this in cold or windy places, where a person may be tempted to leave the Sukkah if there is insufficient s'chach. If the s'chach is so dense that even rain cannot penetrate, the Sukkah is invalid according to some opinions, since it resembles a house. 27. Must the s'chach extend horizontally up to the walls? No, but the s'chach must reach within 24cm of the walls. Nevertheless, one must not sit next to the wall under the empty space, unless it is less than 20cm. If the space between the s'chach and the wall is more than 24cm, then the wall next to the space is invalid and cannot be used as one of the three minimum walls. If the s'chach reaches the other three walls then the Sukkah is kosher, but if two walls are invalidated then the entire Sukkah is invalid. To correct such a situation of large gaps (more than 24cm) between the s'chach and the walls, one should fill them in. Sheets, metal, boards or anything else may be used, although these items may not be used as s'chach. This method invokes a halachic principle called dofen akumah -- a bent wall. We imagine that the wall of the Sukkah extends upwards and then bends in horizontally until it reaches the kosher s'chach. One may not sit under this area of the Sukkah, but only under the kosher s'chach. This method is permitted provided that the non-kosher s'chach is less than 1.92m wide on at least three sides, and the area of kosher s'chach is at least seven by seven tefachim. This situation is common when making a Sukkah indoors under a removable section of the ceiling. 28. May one place the s'chach on a metal frame? This should be avoided. Just as the s'chach itself must not be capable of becoming tamei, similarly the supports of the s'chach should not be capable of becoming tamei. Therefore, the s'chach should preferably be placed on wooded beams. In extenuating circumstances, one may use anything as supports for the s'chach. Similarly, if one visits a Sukkah whose s'chach rests on a metal frame, one may eat there and recite the b'racha for the Sukkah. 29. What if the wooden support beams rest on a metal frame? This is permitted since the metal frame is only a secondary support to the primary wooden supports. According to some opinions, this is true only if the wooden beams are actually assisting in the support of the s'chach (i.e. the removal of the wooden beams would cause the s'chach to fall down). If after removing the wooden beams the s'chach would still rest on the metal frame, the metal frame is considered to be the primary support according to this opinion. 30. May one tie or nail the s'chach to the wooden supports? One should avoid using string or nails to support the s'chach. If a person is afraid that the s'chach may slide off or be blown away in a normal wind, he should not tie or nail it down since this is considered a primary support. Rather, he should place heavy planks of wood or branches over the s'chach, since they qualify as kosher s'chach. The planks or branches may be tied or nailed down since the string or nails would then be considered a secondary support. Alternatively, he may tie down the s'chach with vegetation, such as palm leaves, twigs etc. If the s'chach would not be blown away except in an unusually strong wind, it may be tied down even with string. In extenuating circumstances, the s'chach may be tied down with string, even if it may blow away in a normal wind. 31. Must the walls be built before the s'chach? Yes, the walls must be constructed before the s'chach is put in place. If the s'chach is placed on a frame and then the walls built, the Sukkah is invalid and the s'chach should be raised and lowered. Similarly, if one needs to use the 'bent wall' method, the 'bent wall' must be constructed before the s'chach is placed. This is a fabulous pergola hidden in the woods of Connecticut. The customer seemed to know exactly what he wanted: Custom arches, head beams and copper flashing. Playing in the background is Secret Garden written and preformed by Bruce Springsteen and the East Street Band. I though it was a fitting song for this remarkable pergola. Notice the vertical flutes machined into the 6x6 post? That is an example of a customization that the web site pricing engine doesn't offer. If you can think of an option you would like on your pergola, suggest it. We will offer you a price for the customization. We put a darker stain in the flutes to accentuate them. Notice the two dark circles above the post? This is what we call a Lincoln Log Joint. Think of it like a master link in a bicycle chain. We machine a peanut shape out of the back of the two mating boards, then create this Link out of a South American hardwood known as Ipe. It is an extremely hard, durable lumber which will hold this joint firm forever. The radius of the arches represent perfect circles. We anticipated a gap between the ends of these two braces, so copper flashing seemed like a good solution. Notice that the dental-work above the joint was aligned to be centered. Attention to these subtle details are what we excel at. The posts are evenly spaced along one side. On the other side, the posts align with the stone wall. This can only happen with the involvement of the customer who must relay their desires specifically. We don't mind customizing your pergola because we built them one at a time, to order. The house is a contemporary, so instead of a Victorian/Greek/Roman architecture, we felt it needed a more subtle cut and selected the Japanese cut which some people might call Scandinavian. 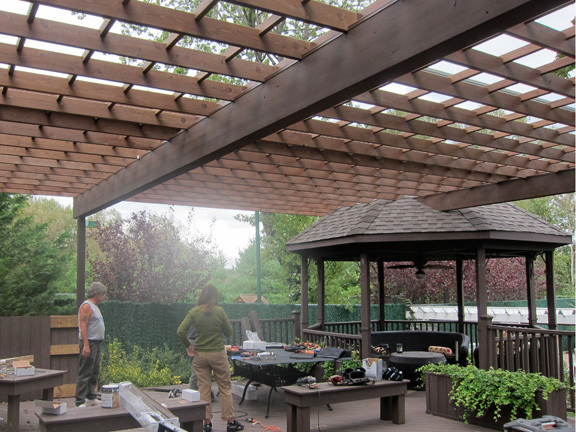 This pergola project was a good example of what we do at Baldwin Pergolas on a regular basis. It shows our determination to design the perfect pergola, then build it. This pergola may appear simple, but the area it fits into is very irregular and required lots and lots of measurements and correspondence. It's freestanding, but has only three posts and IS connected to the house where the fourth post would have been. The project was tedious because of it's complexity, but working with the client was a pleasure because he knew exactly what he wanted and was good at expressing it. Clear cedar lumber was selected. Clear Western Red has tight, complex grain which glows with refectivity. The darker sections of the cedar wash into the lighter sections like two rivers converging over rapids. The fit and finish of this pergola was equal to a fine Japanese temple. This custom bracket was created to receive and support the two cedar beams. As it turned out, the stucco of the house was very irregular, but with some careful grinding, our install team was able to make a perfect fit. The spacing of the rafters brought the last rafter into a collision with this copper downspout. We moved the rafter over a couple inches which meant custom notching array in the beams and purlins. We made the cutout for the down spout at an angle in the factory; All thanks to careful measurements supplied by the homeowner. In this photo you see the large arched gussets which are cut from 6" x 12" stock, lagged bolted to the side of the clear cedar 8x8 with chamfered corners. We make the dowels which conceal the hardware. Notice that the top of the post is haunched to make a ledge for the beams to rest upon. We are pround of our details. To further point out the details of this pergola, please notice the bottoms of the rafters have a gentle arch cut into their bottom edge. This is to allow access to the window should it need preplacing down the road of time. The face rafter is not arched. You can't buy this at a Big Box Store. Lastly, please notice what we call the 'boot' which slides over the bottom of the post. It gives the post some needed aesthetic weight to counter balance the top, similar to the leg of a Clidesdale horse. It's job is to conceal the ABU66Z mounting bracket. To the bottom of the boot we attach nylon glides: You can just barely see them. Thier job is to prevent water from wicking up into the end grain of the boot. 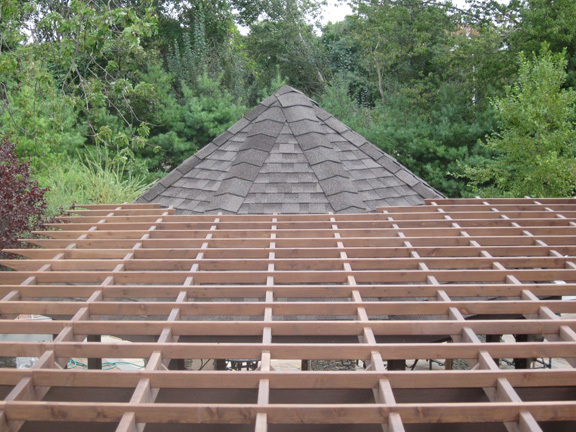 We feature this project because it is a fairly typical attached post and beam pergola. This is a large custom home in upstate New York. Stone patios absorb the suns rays and turn into outdoor ovens. This South facing patio would typically be thrity degrees hotter then the sun. A shade solution was needed. The tall windows required a tall pergola. A larger pergola was not an opption due to traffic patterns on the patio. Our install team removed the crown moulding below the soffit and squeezed the 5.5 inch tall ledger into place. The ledger is notched to receive the rafters. The rafters are notched to fit into the ledger, so the bottoms of the rafters are flush with the bottom of the ledger. Notice that the shade system is lower on the exterior then the interior. This allows the water to run off away from the house. It's hard to see, but the color of the rafters matches the color of the house and the color of the posts and beam match the trim color. Here we see Mark about to extend the Easy Shade Canopy. The dining table is preventing Mark from walking straight through the center of the pergola, but the length of the crank handle allows Mark to open the shade with ease. The system is designed in such a way that it cannot bind up. This pergola is quite tall, but as you can see, the shade system works well in creating shade. It's essentially a massive umbrella which adds architectural detail to the home. Mark is cranking the handle clockwise to tighten the shade hardware and lock it's current position. A nice feature of this shade system is that you can lock in any position you like. Open the shade to the position you're happy with and tighten the crank. Very simple. Very easy. This pergola has nice proportions. Placing a pergola at the head of a pool is classic. The structure is beautiful and practical, but when your focus shifts to the reflection of the pergola in the water something magical happens which is hard to put into words. Lighting a pergola of this natural is a great idea. Some people cut the lights into the patio and cover them with tempered glass. Others put the light fixtures up high and shine down. Either way... Beautiful. The span from center to center is twenty feet in width. In depth it's ten feet. The height is foot and six inches to the bottom of the beam. The posts are 8x8's. We worked hand in hand with landscape architect Catharine Cooke of Spring Lake Design.com. Sometimes were refer to Fibonaccis golden spiral when designing pergolas. We also refer to classic architectural orders of the Greeks and Romans. Simple design school teaches us that squares are formal and rectangles are informal. We've studied Feng shui and even Vastu Purusha Mandala. We draw knowledge from all of these sources when assisting our customers in effort to build perfect pergolas. Looks inviting. Imagine the serenity of lounging in this most private setting. God bless America. Often times, when we get to this point, we take a picture. It's because this structure is beautiful even in it's incomplete form. This is known as a colonnade because it has two posts, but some might call it an arbor. It's plum and level and it provides form which is in contrast to its natural setting. These should be more popular. We were happy with the proportions of this pergola. The 8x8's really make a statement. The arched gussets are five and a half inches think and together with the posts, they say: "Get used to us. We're going to be here for a very long time.". This customer has a fantastic view of Long Island Sound, but found themselves baking on their sun deck. Who you gunna call? Sun Busters! A fiberglass pergola derives its strength from it's firm connection to a concrete footing or a concrete slab. For that reason, they don't do so well on decks. A post an beam pergola is different. It's strength comes from the connection between the post and the beam. Think of it like a kitch table. It's strong independantly and doen't require connection to the kitchen floor. What's most noticable here is the quantity of purlins. We typically space our purlins at 16" inches from center to center, but in this case, the customer wanted more. These purlins appear to be nine inches on center. This creates additonal shade and beauty. Pay for it once. Enjoy it forever. What people don't think about when considering a pergola is the appearance of the pergola at night. Or is it the appearance of the stary night framed by the pergola? The moon casts shadows on the deck all night which are kind of mystical. This pergola is an outdoor room... With a view, day and night. Please notice that there are beams in the depth aspect which span from the side of the house and out beyond the post. These beams do not support anything. They are purely cosmetic, but they complete the enclosure of the outdoor room. They also provide an attachment opportunity for gussets (braces) which arch toward the house. These are also purely cosmetic. This photo shows the ledger board attached to the house. Notice that the screws are right under the notches - This is so the rafter conceals the screws! All the interesections are notched: Beams are notched for rafters. Rafters are notched for beams AND purlins. Purlins are notched for rafters. Here you get a glimps of the view and another look at the post and the gussets. The beams have deep notched which half lap over each other for a flush finish. We love this stuff. This pergola was built to host a wedding reception. It's important that the pergola be built to the same scale as the house. While we prefer short pergolas, sometimes the setting requires extra head room. With this in mind, please don't forget to send us pictures of where you want your pergola. It will help us to a great extent. This pergola has a wide stance, is tall and is built with appropriately substancial components. It's also outfitted with outlets switches, lights and speakers. I really respect the owners descision to grow Wisteria plants over the top. Notice the cut outs in the patio for plantings. This close-up shows the high level of detail in the 8x8 posts. The flutes were cut with a CNC router. They begin and stop above and below the gussets, outlets, switches and boots. You might imagine our robot making these cuts efficiently, but it turned out to be quite a labor intensive project. Fluting of posts is not a standard option, but we customize almost every pergola, so be sure to inquire if you are interested. Without the pergola, the patio would not appear nearly as inviting. Pergolas were all the rage during the victorian era of the late nineteenth century. Around the 1920's the "Naturalist" movement gained popularity among garden designers and most garden structures were removed. With all we've learned about the damaging rays of the sun, I don't think we'll be repeating that bit of history. We have worked for some prominent families and we look forward to working with you and your family. Please consider giving Baldwin Pergolas the opportunity to impress you and your friends. Woodworking is a serious craft. Max Baldwin and Matt Crescimano have been working together since 1986 - Almost thirty years of woodworking experiance, primarily with Baldwin Lawn Furniture, but since 2003 their focus has been on designing and building the nations most beautiful pergolas. These are NOT your typical salepeople. You will not find more experianced craftsmen available to help you with your pergola and pavilion needs! Western red cedar is one of the most challenging materials to work with because of it's wide variety of colors, grains and textures. We must be careful to include boards of varying color because that's the true beauty of a cedar pergola, but meanwhile we're well aware that nobody wants their structure to include harshly contrasting pieces. People are always complimenting us on the beauty of the lumber, but we cannot take any credit for that; We just arrange what God has given us. Our competition has a commission only sales force which receives almost half of the money people pay for their structures. So if you pay $8000 for a pergola, the company actually making it is getting only $4000. You can expect to be disappointed with the quality of lumber, hardware and craftsmanship. There's just no way around it. 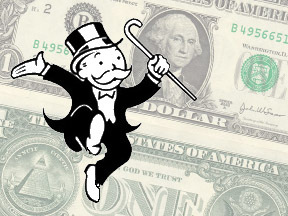 You will not be getting your moneys worth if you shop anywhere else. Cedar is decay resistant because the wood is very acidic but this acid has a rusting effect on the hardware, so our fasteners must be stainless steel. Stainless steel hardware costs more, but we're not trying to make the nations cheapest pergolas, pavilions or Adirondack furniture. We carefully design and notch our pergolas to make the structure more beautiful, stronger and easier to assemble. You just match the notches up and it slides together. No measuring is required. We include mahogany plugs to cap the screws. Mahogany is another of the woods that last for decades outdoors. The worker in this photo is inserting plugs to complete an installation. We space our cedar rafters and purlins approximately 16" inches on center. Online only pergolas are typically 24" on center. Our beams are typically 2x8, rafters 2x6, purlins 2x3. This network creates a cooler, shadier patio area, but more shade can be obtained by growing a vine, installing an easy shade, an easy curtain, or ordering our custom outdoor drapery. We have the ability to channel our 6x6 and 8x8 posts to conceal wires for lighting or speakers. The channel includes a shoulder cut for our wooden concealment strip to nestle into. We also cut a channel in the top of the post so then the wire reaches the top of the channel it can turn and run between the beams as required. Baldwin Pergolas is a full blown custom woodshop with modern machinery and skilled workers. We love to make people happy so rather then tell you all the things we don't do, we'd rather say "
". We want to be the company that delivers your dreams. Tell us what you want done and allow us the opportunity. You will surely be impressed. Our typical attached pergola consists of a set of main beams running parallel to the house as well as a ledger that connects to the side of your the house. They require less posts, less footings and ultimately a lower price tag. All that being said, freestanding pergolas are still more popular. Our pergolas are available in standard sizes for ease of pricing, but we can custom tailor the size of your pergola down to the exact inch you require. Our order form makes this simple, but you'll need to tell us exactly where you want the centers of your posts. The best way to do this is to place pots or plates where the posts will be. Measure. Custom drawings will be created for your review and approval. 4x4 posts have a 5.5 x 5.5" boot. 6x6 Posts have a 8.5 x 8.5" boot. 8x8 Posts have an 10.5 x 10.5" boot. We encourage our customers to design short pergolas because they look better and provide more shade. A perfect height is seven and a half to eight feet. Many projects require taller posts for a variety of reasons, but please keep in mind that we are humans and twelve foot tall pergolas look ridiculous. In this photo, you can see two pergola heights: 8 foot and 10 foot tall. Notice the man in the background: You can see that the scale of this job is just too tall. When we started building pergolas back in 2003, everyone wanted 4x4 posts. As soon as we made 6x6s available as an option, everyone wanted them. Along the way we've done a lot of pergolas with 8x8 posts which are the most impressive. The thickness of the post has an effect on the thickness of the gusset (brace), so these compounents scale with each other. Also consider the scale of the setting. Is the home large? What is the scale of other architectural details in the yard? The cut on the rafter tail determines the architectural style of the pergola. It makes a big difference in the look of the pergola. If you would like a custom rafter tail, we can do that, just send a drawing or a photo. We'll design an proof and once you appove it, it's yours. We use solid carbide router bits and a computer controlled router to make the cuts, so they all come out exactly the same! We considered removing this as an option. Almost 100% of people choose the arched gusset. It embodies the classic architectural order defined by the Romans thousands of years ago: The Roman Arch. We have done a limited number of pergolas with the Craftsman style gussets and they can be just as beautiful. Another name for Craftsman style is Mission style which gained popularity in the 1920s. Most cedar pergolas get coated with Olympic Maximum, Cedar natural tone Sealer because it blocks the ultra violet rays and includes a wax which limits moisture fluctuation. If you want a solid color we will apply Sherwin Williams Woodscapes solid color stain, but if you don't love the natural wood, why not choose fiberglass? We often apply a coat of either white wash or gray, weathering stain. Each of these coatings tint the pergola and still show the grain and texture of the cedar. It's a nice effect, but it's not for everyone. Our pergolas are built with a designers eye for quality, fit and finish. We hand-select the finest Western red cedar boards for our pergolas. Both grades of lumber have the same quality and integrity. Our knotty grade cedar boards are cut from trees which were planted in the United States about 80 years ago. They trees had branches, so the boards have knots. We carefully inspect every inch of every board for defect and use only good ones for pergola parts. The photo on the right shows high quality, furniture grade, old growth, cedar. The grain is very tight and straight. If left untreated it will weather to a beautiful gray in about a year. It has only a few small knots. Overhead fabric sun-shades have become more and more popular in recent years. Our preferred shade consists of one large sheet of fabric which extends and retracts. More information is available in our Shade Systems section of the web site. Our pergolas were specifically designed to make installation easy. If a task can be done at the factory, it gets done at the factory. After completing thousands of installations, we can confidently say that no job is every easy. Unexpected site conditions are the primary reason. We bring every tool known to man and use most of them during the installation. You will see installation service on the order form, but it is only available if you live within 100 miles of our factory located in 06457, excepting special conditions. Footing: A concrete anchor which holds the pergola to the Earth. They need to be deeper than the frost line, but also large enough and deep enough to hold the pergola to the Earth during a strong wind. Footing size should never be less the 42" deep and 12" diameter. Pier: This in a small stone wall on which a pergola can be mounted. The pier is always supported by a footing or a concrete slab. If building a stone wall or pier, it would be wise to anchor a 5/8" threaded rod into the footing to anchor a pergola. Post: The 4x4, 6x6 or 8x8 vertical member which supports the pergola top. We chamfer our posts in a way which embodies the most classic architectural craftsmanship. Boots: This is a box of trim which gives aesthetic balance to the pergola and also conceals the post mounting bracket. Gussets: Some people call them braces which is perfectly appropriate. Regardless of what you call them, gussets provide diagonal or lateral strength between the post and the beam. These are what keep the pergola from blowing over. Main Beams: The beam which sits atop the posts and supports the rafters. The main beams consist of a set of two parallel 2x8's which are spaced either 3.5 or 5.5" apart depending on leg size. The beams (the Greeks called them entablatures) are always crowned to prevent sagging. The gussets attach to the beams in such a way as to provide stability and support, in effect narrowing the overall span. Rafters: These are the primary shade creating members that make up the pergola. They are 1.5" thick by 5.5" tall. They notch down over the main beams and support the purlins. The typical overhang which is measured from the center of the post to the tip of the rafter is 24" inches or 2' feet. Purlins: These make up the top layer of the pergola. Each purlin measures 1.5" thick by 2.5" tall. They notch down over the rafters and keep the rafters in a perfect grid. The typical overhang which is measured from the center of the post to the tip of the purlin is 24" inches or 2' feet. Overhang: This is the distance from the center of a post to the tip of the rafter or purlin. Typical overhangs are 18" for small pergolas and 24" for large pergolas, but you have full control over that. Shade area: This is the distance from the center of one post to the center of the opposite post. Size of pergola: This is the shade area in depth plus the front overhang and the back overhang. The shade area in width plus the left overhang and right overhang. Spans are measured from center of footing to center of footing. Often the design calls for large open spans so a beautiful view can be unobstructed. This causes two design concerns: The beam must be built in such a way that it can support the weight of the rafters and purlins without sagging. The larger concern is this: The wind loading of the entire pergola must be divided by the number of posts. Fewer posts means more stress on each post. We solve this wide span problem by placing two posts close together on either end of the span. Our beams are capable of spanning twenty feet, from post center to post center without sagging. If longer spans are needed, then the pergola becomes custom and may require engineering, aluminum reinforcements and or other advanced techniques. A pergolas job is to provide a feeling of protection when you are within it. "If a branch were to fall toward me, this pergola would protect me from harm.". If the spans are super natural, the pergolas occupants will be wondering what's holding it up and therefor will be in a state of fear rather than security. Height is also a structural concern because each post has mechanical advantage like a lever. When you apply ten pounds of force to the side of the top, you exert eight times that amount of force to the bottom, assuming that the post is eight feet tall. Our typical offerings are designed to endure high winds, but large residential pergolas and commercial jobs may require engineering. These are things which get discussed. Determine where you want the center of your posts. Measure distance in width and depth. Determine how much overhang you would like on each side. Overhang is measured from the center of the post to the tip of the rafter or purlin. Standards are 18” and 24” inches. Rafter length is your depth from center to center plus your front and rear overhangs. Purlin length is your width from center to center plus your left and right overhangs. Consider height and sight lines. Remember, short pergolas give more shade under the pergola. Consider the time of day you will use your pergola and the angle of the sun at that time. Take a few photos of your site and send them to us. We have an online pergola pricing tool you can use to configure your pergola. When you are using the pricing tool, you will need to select your options such as: The cut on the ends of the beams and rafters, post size and type, color, fabric color. The pergola pricing tool will give you a price for the pergola, your electrical options, drapery and even a trucking quote. It’s easy to modify your pergola until it is exactly what you desire. You can feel comfortable using this no dicker, always accurate pricing tool. We do reserve the right to adjust prices due to lumber costs without notice. If the pergola you desire cannot be built using our system, please enter the pergola as closely as possible then describe what you would like done differently in the notes section. You can also call our sales team during business hours at 800 344-5103x1 and they will do all of this for you. When you are pleased with your pergola and are ready to talk to one of our designers, click the “Submit information” button. Your data gets sent to us. We review your pergola choices and call you to answer any questions you might have. We suggest making changes that would either make your pergola more useful or more beautiful, but we also look for ways to reduce the lead time and your cost. When all of your concerns have been addressed and pricing established, a deposit gets the wheels rolling. Along the way you can request an elevation drawing of the front, back, or either side so you can see what pergola will look like. Based on this visual, you may request changes. We adjust your file and explain any changes in price. We also create another visual for your approval. When you are happy with the drawings you confirm every detail and we begin production. It's our goal to deliver a pergola or pavilion within thirty days from plan confirmation. June is the busiest month of the season and we adjust our lead times out a week or two during this peak season. During production you may get a call or email from the production team asking about your ceiling fan height or what color light switches you want. When the pergola kit is complete, we require final payment before shipping. If you are within 300 miles, we offer you our in-house, white glove delivery service. Other then that, we use Yellow Freight as our over the road trucking company. Customers who live within 100 miles of 06457 can choose our installation service. Baldwin Pergolas are designed to be very easy to put together, but there are still difficult aspects such as using a level to determine the lengths of the posts, cutting the posts to length, drilling the concrete and anchoring the mounting brackets. If this sounds like more then you want to do, we may be able to suggest experienced pergola installers in your area. This is a pricing chart for a basic wooden pergola made with cedar. There are slight differences in the way we craft a Sukkah which make it different than a post and beam pergola. For example: All the notches are carefully spaced at 18" inch intravals, thus all the notches are Kosher. The receiving family is responsible for converting our pergola into a sukkah. These prices are a guideline until we advance our Sukkah offerings. What's included: Western red cedar parts carefully notched, routed and sanded. Dear Mr. Baldwin, The Pergola is everything I had hoped for and exactly what I ordered. You did an AWESOME Job and the masons are almost finished with the stone work. I will send pictures when the setting is complete. You may post them on your website. My hearty thanks. it was right on time and my project is continuing as scheduled. My wife loves the fine details and I love the natural beauty of the cedar. Nice job. My neighbors are envious. Thanks for everything from the Evans in sunny Colorado! The finished pergola is stunning. We've already received many complements. Max, The pergolas arrived right on time and with all needed material. I have two of the units installed and one to go. I can see that a lot of thought went into the design and production. The units are going up with only modest adjustments to fit some job site pecularities. Excellent workman ship. I am very very happy with the product. I was worried that the joints would swell and be difficult to assemble in the rain. I had very little difficulty. They went together very well. The workmanship on the parts was excellent. here is nowhere to buy wooden outdoor furniture of the same quality and for the same price. Nowhere! I own at least 8 pieces of Baldwin lawn furniture: two picnic tables with benches, a loveseat, two gorgeous adirondack chairs and a couple of other misc. tables and chairs by the pool. This furniture is so sturdy and dependable - and the design is fabulous! Check out their website, or sit in the furniture in person at North Cove Outfitters in Old Saybrook or at Baldwin in Middletown. You will be 100% sold. Our pieces have weathered wonderfully, and we leave them out year round. In the spring we pull them into the driveway one day and give them a good wash and put a quick restain on them. This is MINIMAL work, I assure you. And the furniture receives compliments from our guests year after year. This is a great family company with a great product. GREAT! Thanks Max! I'll send you a picture today once we finish the install. It is truly AMAZING how well everything went together, especially considering the custom nature of the job and the need to build it against an existing structure. Dear Max, It's funny what can happen when the three stooges set out to erect a pergola. While we were ultimately successful, the process was a bit dodgy. Of course, had we curtailed our enthusiasm and actually READ the instructions first, it would have gone a lot easier. What ever damage was done was easily mended thanks to wood glue, a couple of hidden screws and some touch up paint. I couldn't be happier with your fantastic work. From the beginning to the end of the process it was so easy, and I have admit, the pool area is so much improved with this addition. Absolutely PERFECT. I'll send photos next time the sun is out. Oh yeah, we built it in the rain and it only took about four and a half hours. Many MANY Thanks!